Labor Day was first proposed as a national holiday in 1882, by one of two members of early labor unions (historians are not sure which one). Some say the idea came from Matthew Maguire, a New York machinist and secretary of the Central Labor Union. Others credit Peter J. McGuire, of the American Federation of Labor, who had seen a Canadian labor festival in Toronto. Oregon was first to make it a state holiday in 1887. In the next few years, 29 more states did the same, but Labor Day did not become a national holiday until after the bloody Pullman strike of 1894. The trouble began in May, 1894, when 4000 employees of the Pullman Palace Car Company protested a reduction in the wages, sixteen-hour workdays, and high rents in the company town of Pullman, IL. Company owner, George Pullman refused to talk to the workers. 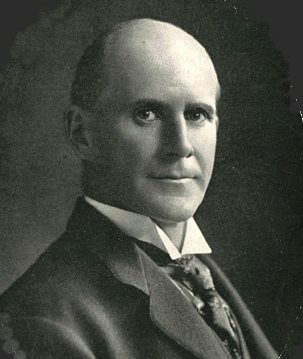 The workers struck, and in June, members of the American Railway Union, led by Eugene Debs, announced a boycott, refusing to switch Pullman cars onto trains. Within a few days, 125,000 workers on 29 railroads had walked off the job rather than handle Pullman cars. After a peaceful rally led by Debs in Blue Island, IL, some groups of workers set fire to buildings and derailed a locomotive. Across the country, workers in sympathy with the strikers blocked the transportation of goods, and attacked strikebreakers. 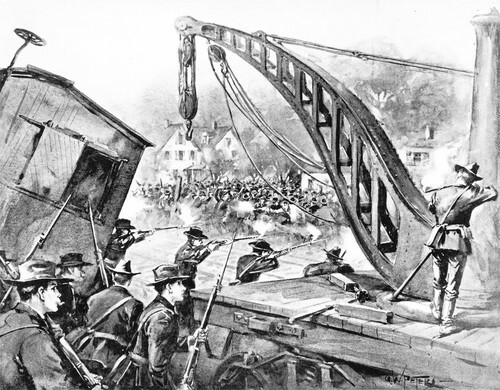 President Grover Cleveland sent U.S. Marshalls and 12,000 army troops to break up the strike. They fired on crowds, and before the disturbance was over, 13 workers were dead and 57 wounded. 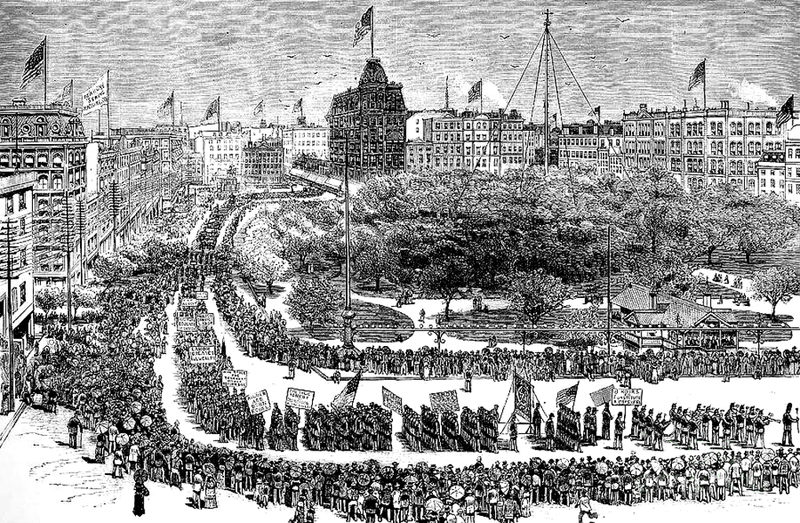 Fearing further trouble, legislation to create a national Labor Day holiday was rushed through congress and signed into law by Cleveland just six days after the strike ended. Because trains carried the mail, Eugene Debs was accused of conspiracy against the US Postal Service and tried for this and other criminal and civil charges. After a brilliant defense by Clarence Darrow, he was acquitted of everything except violating an injunction, which carried a six month sentence. While serving his time, Debs read the works of Karl Marx and became a socialist. He ran for president on the socialist ticket in 1900. During the strike, Illinois governor, John P. Altgeld had offered the President the use of the Illinois National Guard to maintain order. 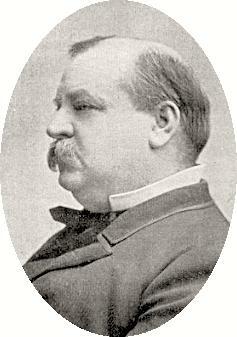 He was incensed that Grover Cleveland ignored his plan and put federal troops at the service of company management. Altgeld used his influence at the 1896 Democratic convention to deny Cleveland a second nomination for president. A federal commission found the Pullman company’s town to be “unAmerican,” and in 1898, the Illinois Supreme Court forced it to divest. The township was annexed by the city of Chicago. When George Pullman died in 1897 he was buried at night in steel-reinforced crypt, surrounded by tons of concrete, in fear that veterans of the strike might try to desecrate his grave. A friend who is active in a hospital union insists we have to remember that people died to win us an eight hour day, vacations, health care, pensions, and other benefits workers could only dream of 100 years ago. Employers didn’t give us these things from the goodness of their hearts. It’s safe to say that western nations would not have a middle class without the efforts of organized labor. And it’s no coincidence that both institutions are now on the ropes. This entry was posted in History, Holidays and Festivals and tagged 2012, Eugene Debs, Grover Cleveland, history, holidays, organized labor, Pullman strike. Bookmark the permalink. Nice recap, Morgan. There is much here I didn’t know. Thanks for the history lesson. It was very interesting. I didn’t really know any of this so it was interesting to read up on it.